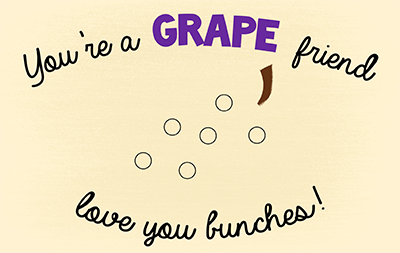 Use purple pom poms to decorate this GRAPE Valentine! 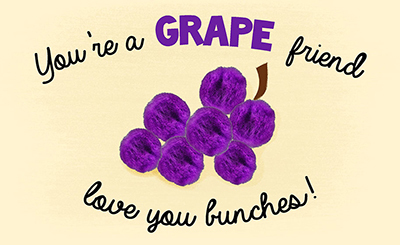 Print out the Downloadable Template above. 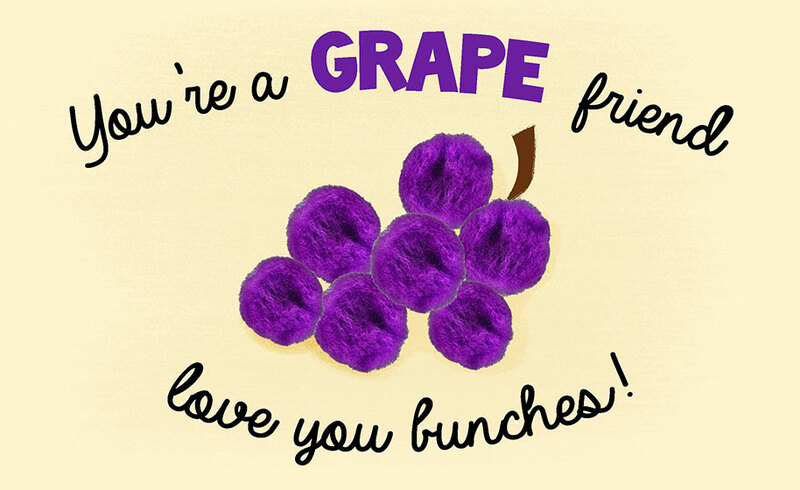 Glue purple poms to create the bunch of grapes!